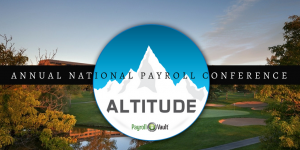 Greenwood Village, CO – August 29, 2018 – After successfully closing its 6th Annual National Conference at the Denver Hilton Inverness Hotel, Payroll Vault is looking forward to another year of stellar growth. 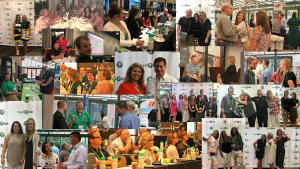 The annual conference is an important event for the franchise company to gather franchisees and industry vendor partners to continue to develop their systems and strategies for taking hold of the US payroll industry. Specific strategics were unveiled by a dynamic group of industry professionals and the Founder, Sean Manning, to keep the momentum of the organization at full speed. To truly ‘Re-define’ payroll services, Manning rolled out the new tagline describing Payroll Vault – Boutique Payroll Services Designed for Small Business. The personalized ed approach that each local Payroll Vault office offers their clients has set the company apart from their national competitors, by a long shot. Payroll Vault Franchising provides entrepreneurs the opportunity to start-up their own small business with the support of our team of experts. With decades of experience, we instruct our franchisees on small business best practices and providing payroll support. Since its launch in 2012, Payroll Vault Franchising has grown rapidly as clients realized the immense value of the service as a business. As a result, today Payroll Vault Franchising is recognized as a national leader in the industry. For more information, visit PayrollVaultFranchise.com.